Journey through the stages of creation. Each glass starts as a molten gob of glass and transforms into a one-of-a-kind work of art for daily use. 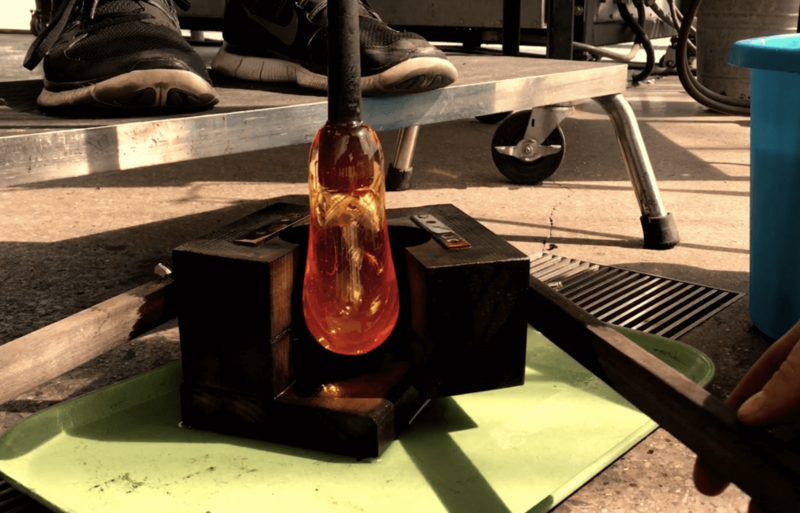 Clear, soda-lime glass, is gathered out of a furnace at 2150°F (as hot as lava!). 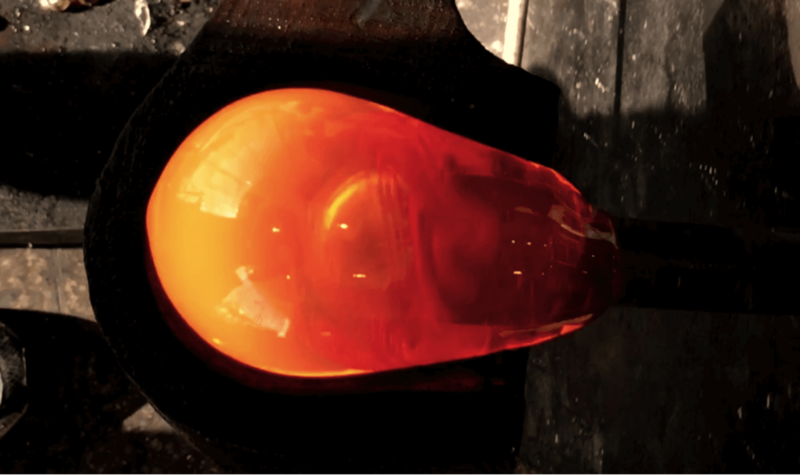 The molten gob is then carefully shaped into a round smooth form and a bubble is introduced to the glass via the breath of the artist. To achieve a consistent shape, the hot glass bubble is intently placed into a hand-carved wooden turn mold. Once out of the mold, additional colorized glass is artfully applied to create and complete the design and look of the cup, To finish, a signature stamp is applied to the bottom solidifying the work.